Pioneers in the industry, we offer navagrah rudraksha mala (1 to 9 facet), sarv siddha rudraksha mala, akik mala, pearl mala, rudraksha mala for wearing and kamal gatta mala from India. We are engaged in designing and offering our clients a comprehensive range of Siddha Mala. In order to meet the over growing requirements of our esteemed clients, we use power and other good quality components which are both sacred and pure. This particular product is believed to have some power which helps in cutting many diseases and provides relief to a body. Various kinds and a comprehensive range of Akik Mala (Cornelian) (White, Red, Black, Green and Yellow) are available with us at market leading prices. The main motive of our company is to facilitate our clients by providing them products of exquisite pattern, perfect finish and attractive colors. The products designed and supplied by us are in great demand in international market and also amongst our national as well as international clients. We distribute and supply quality Pearl Mala to our clients. These malas are acquired from renowned vendors. 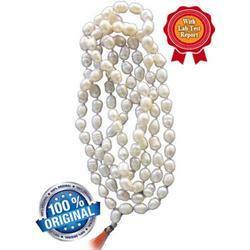 Our company ensures that the pearls which are used in these malas are of best quality. 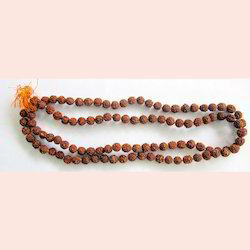 These malas are available in wide range of designs. 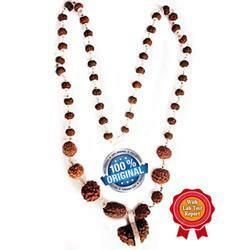 We are the most trusted name engaged in offering the quality Rudraksha Mala (Small, Zero Number and Double Zero Number). Valuable customers from all over the world are opting for the products manufactured by us because we use advanced techniques and latest processing methods in order to meet the bulk demands of our customers from all over the world. We offer products at market leading prices. Our team of experienced and skilled professionals makes us capable of supplying the best quality products to our clients. Valuable customers from all over the world preferred using our products because they are of international standards and are available in the market at pocket friendly prices. 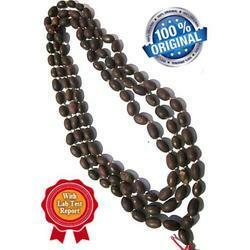 Available with us a wide range of Kamal Gatta Mala (Lotus Bead Mala) of latest designs, colors and patterns. 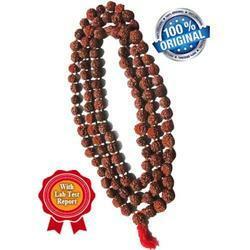 Our customers can avail high grade Rudraksha Mala for Chanting from our company. With the help of our experts and professionals we provide our clients with suitable mala for chanting. 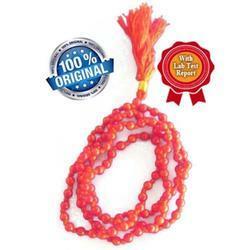 We acquire these malas from certified vendors. We also check the quality of these items before supplying them to our clients. 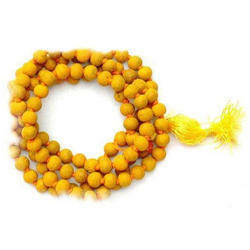 We are one of the leading suppliers, distributors and traders of Haldi Mala. Our clients can directly purchase these items from us at a much lower market price. These roaries and malas are made from high grade raw materials and are manufactured by our vendors by using modern tools and techniques. We can also alter the length and the design of these items. 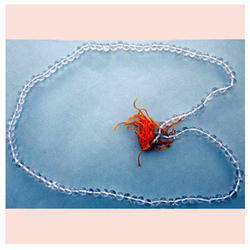 We are one of the noted suppliers of Corel Mala. The products offered by us are in great demand amongst our customers from all over the world and also in international market. In order to meet the over growing requirements of our esteemed customers from all over the world, we use advanced techniques and latest processing methods to ensure durability and reliability to our products. With years of experience in this domain, we are able to supply a wide range of Crystal Mala (Sphatik) to our national as well as international customers. We can provide complete satisfaction to our valuable customers by providing them Crystal Mala which is durable and has longer service life. We ensure reliability and durability to the products offered by us because we use advanced techniques and latest processing methods. Our company specializes in supplying quality Red Chandan Mala and White Chandan Mala. 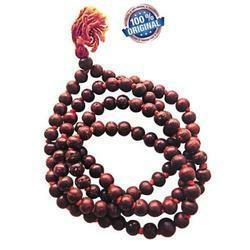 We purchase these malas from popular vendors. 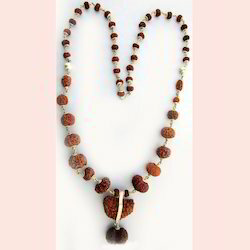 Our vendors use quality raw materials for manufacturing these malas. 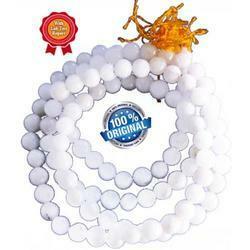 Our team of professionals always ensures that these malas are of best quality. Our customers can directly buy these malas from us at a reasonable price.